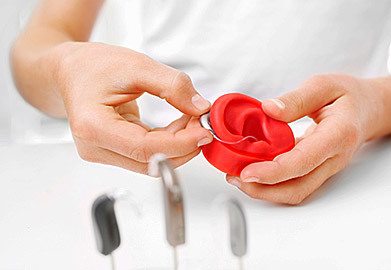 HomeBlogHearing LossWhich Hearing Aids are Best for Me? When looking to find the right hearing aid, it’s a matter of deciding what suits your ear best, and also what will accommodate your level of hearing loss. Consulting a hearing professional can help you determine which style is best for you and your lifestyle. Invisible-In-The-Canal (IIC) – These hearing aids are custom-fitted and placed further in the ear canal that the other styles, making them practically invisible when worn. 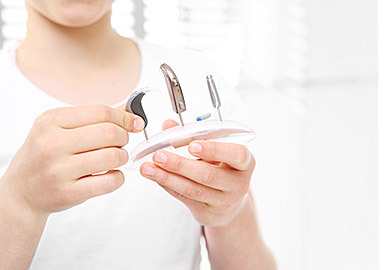 These hearing aids are designed to be taken out daily to help keep your ears healthy. These hearing aids are effective for mild to moderate hearing loss. Completely-In-Canal (CIC) – This style of hearing aid is custom made to fit completely inside the ear canal. The only piece visible outside the canal is the tip of the small plastic handle used to place and remove the device. This style is ideal for mild to moderate hearing loss. In-The-Canal (ITC) – In-the-canal devices are custom-made to fit perfectly in the ear canal. A small portion of the hearing aid will be visible in the outer ear. This type of hearing aid works well for mild to mildly severe hearing loss. In-The-Ear (ITE) – These devices are custom made to fit in the outer portion of the ear. They are best for mild to severe hearing loss. Receiver-In-Canal – This type of hearing aid is hardly visible when worn. With a RIC hearing aid, a receiver, or speaker, goes inside of the ear canal. Thin wires connect the receiver to the portion that sits behind the ear. This provides a comfortable open fit and is ideal for mild to moderate hearing loss. Behind-The-Ear – The technology in this device is contained in a casing that sits behind the ear. A clear plastic tube directs the sound into an earbud or custom earmold fitted in the ear canal. This is the strongest hearing aid, suited for moderate to severe hearing loss.